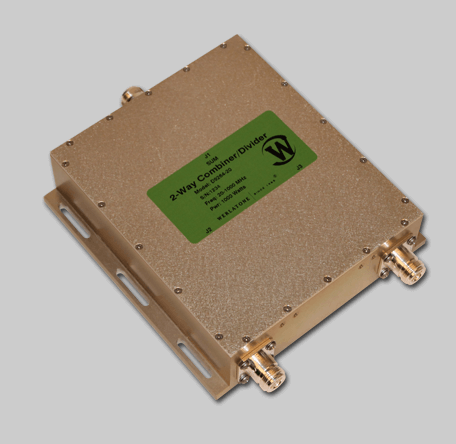 Werlatone's latest addition to our 20-1000 MHz family of products, is the High Power Combiner/Divider Model D9264. This 2-Way design is rated at 1000 W CW, operates with less than 0.8 dB of Insertion Loss, and offers better than 18 dB Isolation. Werlatone’s latest addition to our 20-1000 MHz family of products, is the High Power Combiner/Divider Model D9264. This 2-Way design is rated at 1000 W CW, operates with less than 0.8 dB of Insertion Loss, and offers better than 18 dB Isolation.